Imagine that Italian football clubs are suddenly allowed to build privately owned, modern stadia, so that they can capitalize on match-day revenue by not having to pay city councils for rent. Imagine also that by doing so, clubs expand their revenue sources and effectively compete with the other clubs in Europe, which have long enjoyed privately owned stadia. Private ownership of stadia seems eminently pragmatic, does it not? Even in the chaotic world of Italian football and politics, where equanimity may not always prevail, many have at least come to recognize that it does. 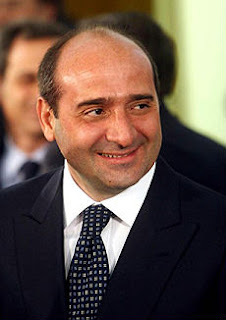 The Secretary of Sport, Rocco Crimi, proposed a law known as Legge Crimi, which aims to allow clubs to take exclusive ownership of stadia, which in turn would mean they could build new venues or improve the current ones. Further, the gate receipts from matches would go entirely to the clubs, and not towards the cost of renting stadia from city councils. The Italian Senate approved the law in late 2009, but it is still awaiting approval from Parliament. "With their resources club presidents will be able to build better stadia than our current ones. This way we would avoid the situation in which the State pours money into stadium infrastructure, like they did for the World Cup in 1990, and then not continue to invest. [. . .] Italian clubs currently earn 65% of their revenues from TV rights. They should have more sources of revenue." It is now August 2011, and the law is still yet to be passed. On July 7, 2011, Crimi said that work is being done to bring the law to fruition. The excessive deliberation over a law that seems absolutely essential for Italian football highlights the political listlessness of the country. The delay also lends credence to Adriano Galliani's perennial cries of the decline of Italian football. Just yesterday, the Milan vice-president likened Italian football to a "pizzeria" when compared to the more opulent "restaurants" of other footballing countries in Europe, like Spain, England, and Germany. One of the major causes of this disparity, Galliani claims, is the stadia issue. Many rebuke him for his seemingly pathological pessimism, but Galliani is just delivering the bitter truth of Italian football. It does, after all, seem reasonable to listen to a man who has been a part of Milan's success for twenty-five years. Without the new law, clubs have to try and negotiate the ownership of stadia with city councils eager to maintain the status quo for financial gain. The councils do little to modernize the stadia, but still demand exorbitant fees from clubs to rent them. As I recently wrote, Juventus have taken the right steps and invested in a new stadium by demolishing the old Stadio delle Alpi. Palermo are now also building their own stadium, the construction of which will start in 2012. However, these clubs have been fortunate in that they have found their city councils to be less obstinate than others. The Legge Crimi needs to come into effect as quickly as possible so that all Italian clubs can have the opportunity to maximize revenue from their stadia. Without the law, Italian football does not stand a chance. Great article, I wasn't familiar with the pending bill Legge Crimi, so thanks for the info. 1. If the law hasn't been passed yet, how did Juve and Palermo manage to start their stadium projects? 2. Football Club owners are some of the richest and most influential people in Italy. I don't believe that Berlusconi doesn't have ways to influence the decision in his favor... Maybe Berlusconi himself doesn't want to invest into a new stadium for one reason or another, and the delay with Legge Crimi is his perfect excuse? I have the same question too: if the law isn't passed, how could Juventus and Palermo get their ways? My guess is: with the law, all clubs can just go ahead without having to deal with their respective city council? without the law, they can only depend on their luck in having a not-so-asinine city council? Excellent questions souvenir of sadness and xudong. I should have been clearer. The answer is really in this sentence from the article: "However, these clubs have been fortunate in that they have found their city councils to be less obstinate than others." I will elaborate. The law isn't passed, but Juventus have reached an agreement with the city council. In other cities, this is proving difficult. That seems to be the only difference. It is still unclear what kind of agreement Palermo have reached (I will believe the stadium when I see it; with Zamparini you never know). If it turns out, however, that they are building a privately owned one that just means they have reached a deal with the city council. The agreement in the case of Juve meant buying the Stadio Delle Alpi from the city council, demolishing it, and then building a new stadium. Note it is not the case that clubs have to wait for the passage of the law before they can explore opportunities. If city councils are willing, then clubs can work with them to reach a solution like Juve did. As for point two souvenir of sadness...there may be something to it, but I do think that in this instance it may be the case that there are other compelling issues for legislators and this government to contend with. The economy for example is a mess. It may also be bureaucratic hindrances. Whatever the issue, it is frustrating to say the least. However, this isn't the first time we have seen a lethargy when it comes to dealing with important issues in Italian football. the snow melts more rapidly. Then a septic installer installs the device according to just that plan.